Boy oh boy did this week wear me out! But luckily, someone offered me a hall pass! 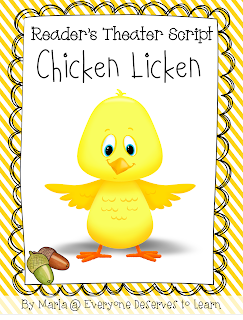 I'm linking up with Tunstall's Teaching Tidbits for a Hall Pass Linky. P- Product. 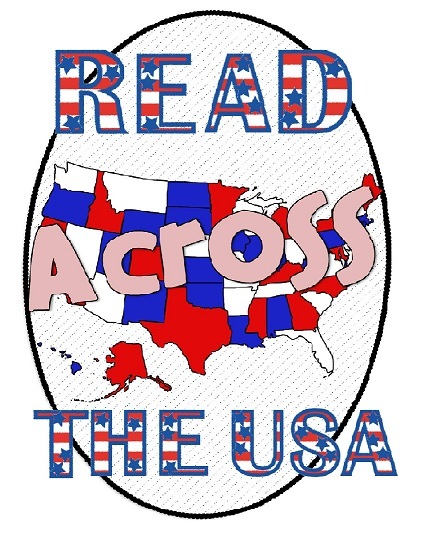 My favorite product right now is my Read Across the USA Reading Project. 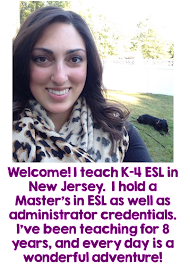 I'm just so excited to start flying across the USA with my students on Monday! I traced a map and put it up on our bulletin board, and on Monday my kids will add their names. 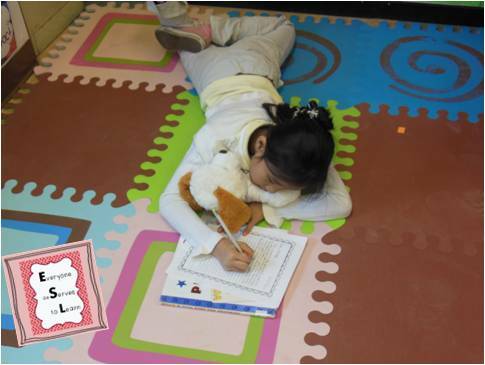 As we read, we will cross times zones for every 20 minutes they read at home. We will also learn a little bit about the states and learn a lot about patriotic songs. A- Area. I do love the reading area in my room, but I think my very favorite part of my classroom is my back wall. It is actually a dividing wall, so it's covered with grey fabric. I walked in over the summer and said, "Um, no." The idea to paper it came from the creative Halle, and it was a labor of blood, sweat, tears, and lots and lots of stretching. I love how bright and cheerful it makes my home away from home. S- Signal. I pushed-in to Halle's class last year and first heard her use Class/Yes, and really liked it, so I looked it up over the summer and found Whole Brain Teaching. Now I use Class/Yes, Hands and Eyes, and I also use "Give me a T, E, A, M, what does that spell?" in increasing volume. Also, the awesome Amy at Eclectic Educating nominated me for the Liebster Award, so I'm going to answer the questions she asked. 2. Why did you start blogging? 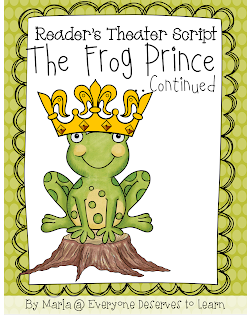 I had a teaching blog when I taught French, and it was a good way to keep a diary of my activities in the classroom, so I thought I would start one again. 3. 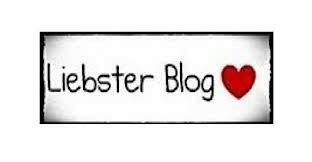 What blogs do you love right now? I really like Eclectic Educating, Speech Peeps, Conversations in Literacy, Dainty Chef (cooking) and Duchess Kate (don't judge!). 4. 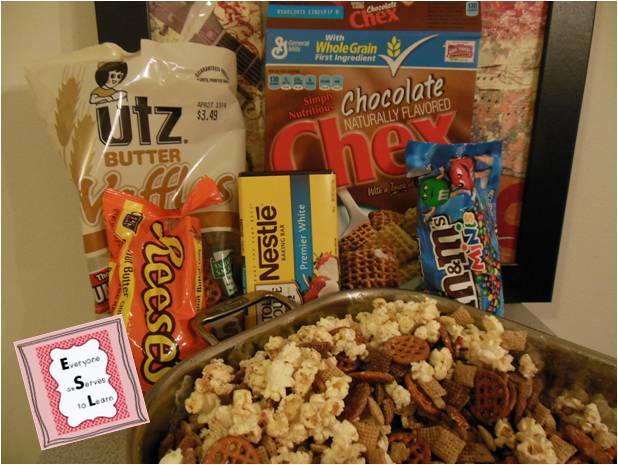 What is your favorite linky party (if you participate)? 4th Grade Frolics' Monday Made It! 5. What is your favorite technology resource? Google images. I always tell the kids that Google is our best friend. 6. 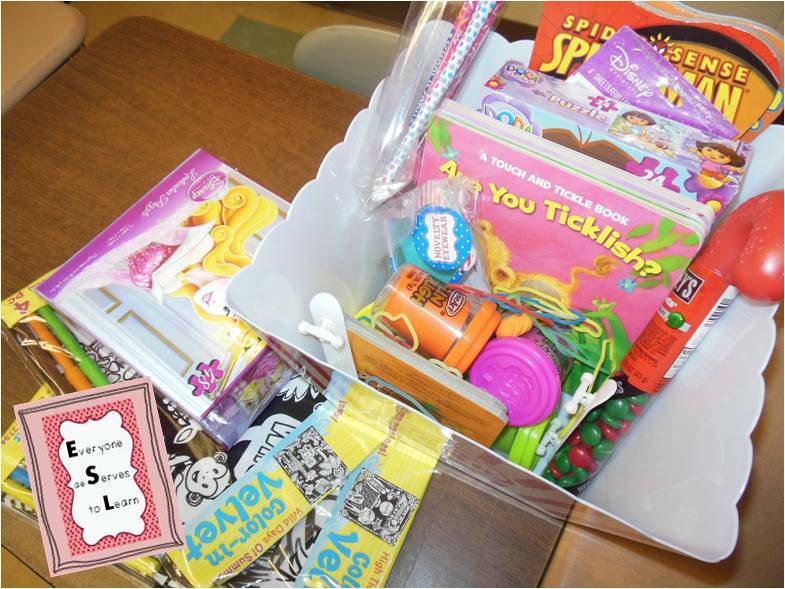 What is your favorite item in the classroom that you can't live without? My projector- for real! 7. How would you describe your teaching style? Hmmm. I am always up for a teachable moment...not sure what style that is! 8. Why did you become a teacher? It's in my blood. Seriously. There was no getting out of it! My mom's a teacher, my dad's a principal, various other family members are in education. 10. What do you do outside of school? I cook, bake, and think about school. Last semester I was an adjunct at a community college, and I might do that again soon. I will also be starting a doctoral program soon. 11. What is the last trip you took? My husband and I went to Costa Rica for our anniversary in November. 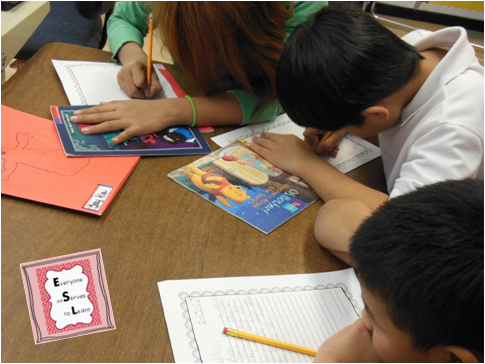 My 3rd and 4th graders had a blast writing notes to their Secret Valentines. 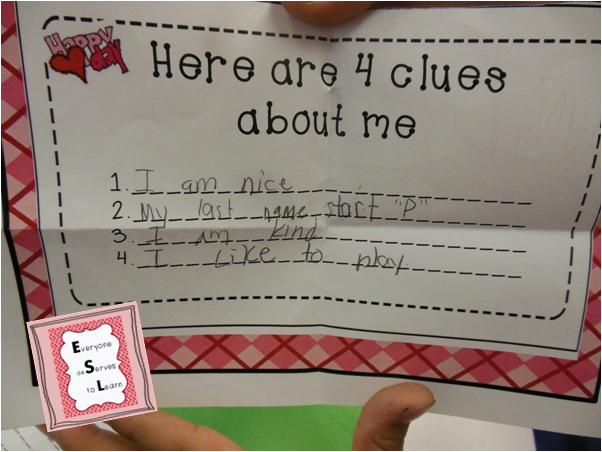 My student who received this clue said indignantly, "What kind of clue is I like to play? EVERYONE LIKES TO PLAY!" 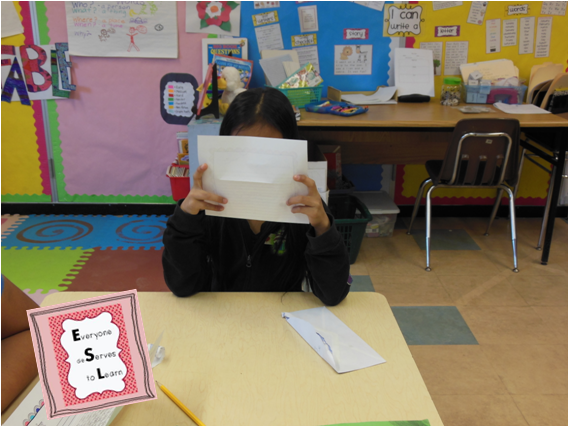 Then, we watched a Brainpop Jr. about how to address a letter and mailed off our letters. A day later, they came in the mail. 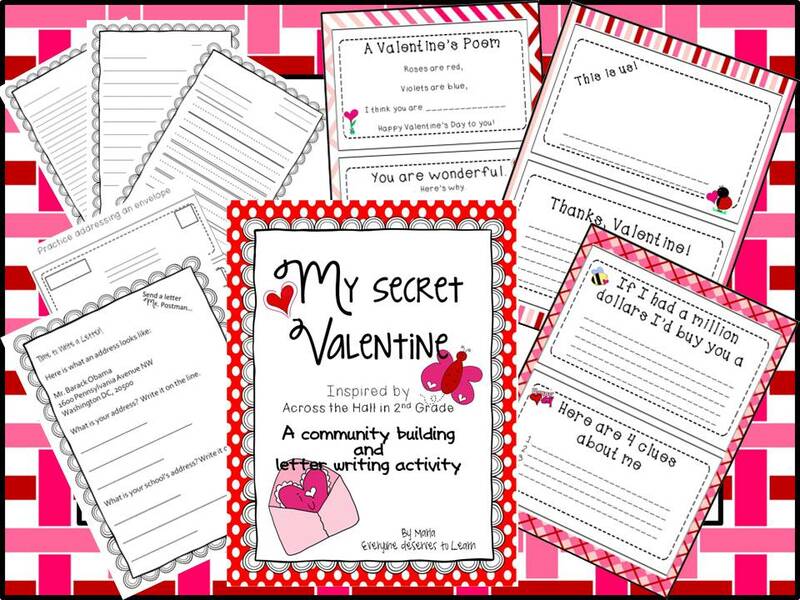 My students were so excited to find out who their Secret Valentines were! 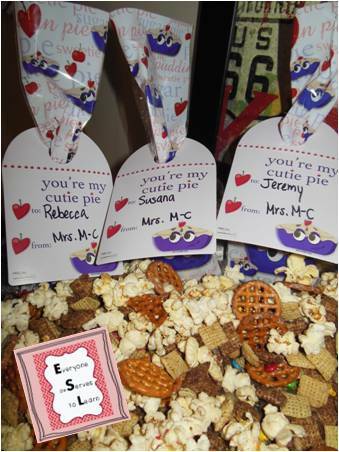 What do you do for Valentine's Day in your classroom? 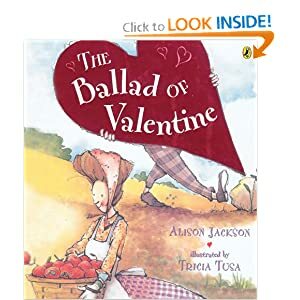 I don't have a homeroom, so I won't be having any classroom parties, but I am planning to read a Valentine's book and share some snacks with my kids. 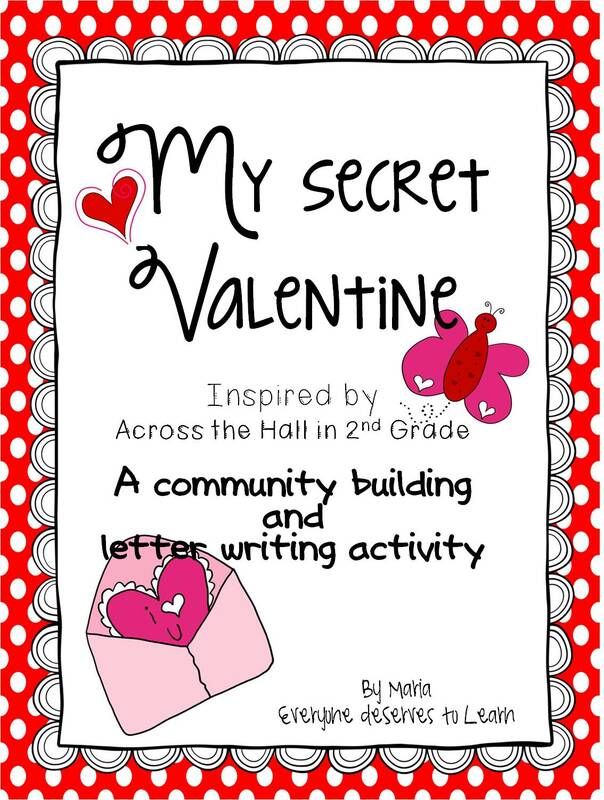 In 3rd and 4th grade, we have been hard at work on our Secret Valentine letters, and they are eating them up! I promise I will have pictures to share later this week- it is so much fun! I will be reading this book, which is a parody of the song "My Darling Clementine." It's hilarious! 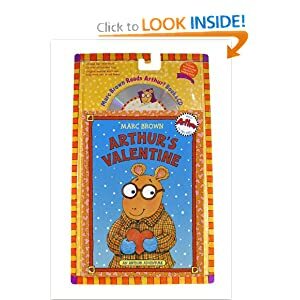 If we have time, I might read Arthur's Valentine, since we have been writing our own Valentines. 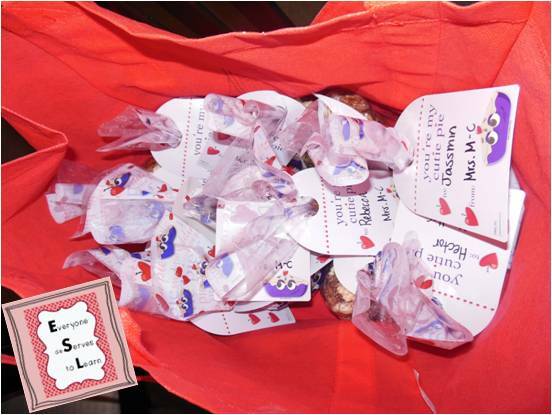 While we read, we will eat Valentine's Trail Mix. I debated about bringing in snacks, but something happened today to push me over the edge. I got a little upset while talking to a colleague about a big project I'm working on at school, and some of my kids saw me crying. (I am a very emotional person.) They hurried to make me Valentines and hide them in the mailbox on my desk without me noticing. While I walked them back to class, they asked, "Mrs. M-C, are you sick?" and I told them I wasn't, but I thanked them for asking. 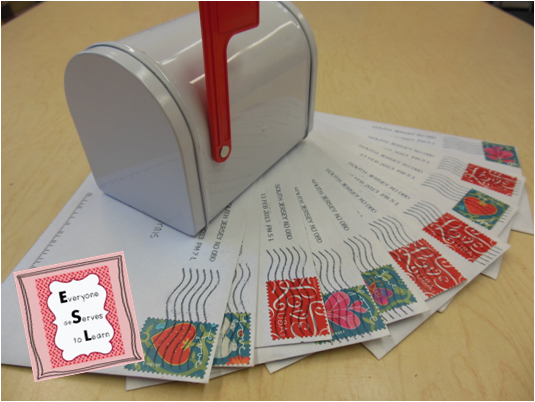 They said, "We left you a secret- look in your mailbox!" When I got back to my room and read their Valentines, I was so overcome with emotion and gratitude (of course I cried again) for these students who could tell I was upset and wanted to help. So, long story short, I am bringing in something sweet to thank them. I didn't take a picture of the popcorn- but that's a main ingredient. I picked up the bags at a store called Five Below, and they are super cute! Happy Valentine's Day! I hope you have a great day with your students and family! Hello! 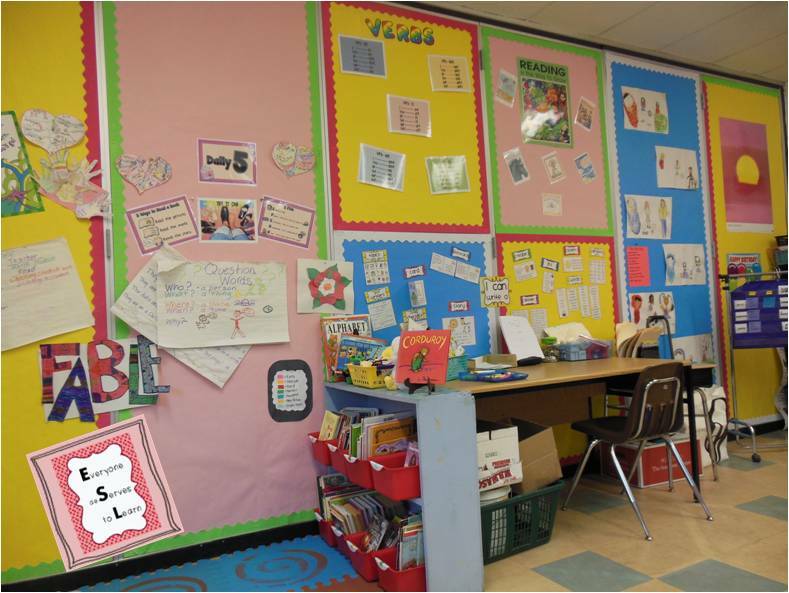 I'd like to show you some things I do in my room to keep my classroom moving smoothly- lots of pictures! 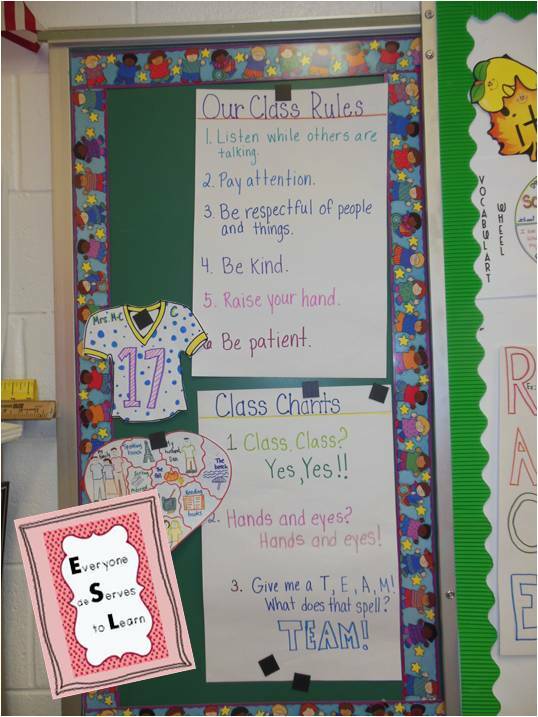 At the beginning of the school year, I collaborated with my students, all 4 groups of them, to come up with our classroom rules. 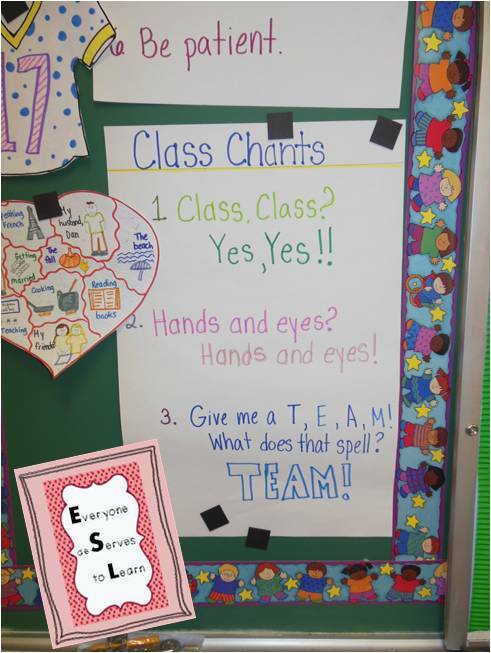 We read Do Unto Otters, and created lots of anchor charts about being on a team and playing by the rules. 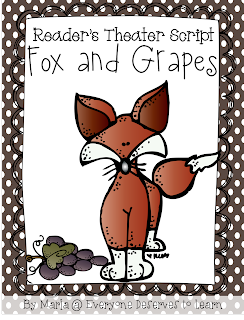 After each class gave their rules suggestions, I took one or two from each class and created our class rules poster. My first bulletin board was all Team Jerseys, because we are Team M-C (my name). I have tried to keep the theme of team and community throughout the whole year, so I use the last chant when we need some extra motivation. 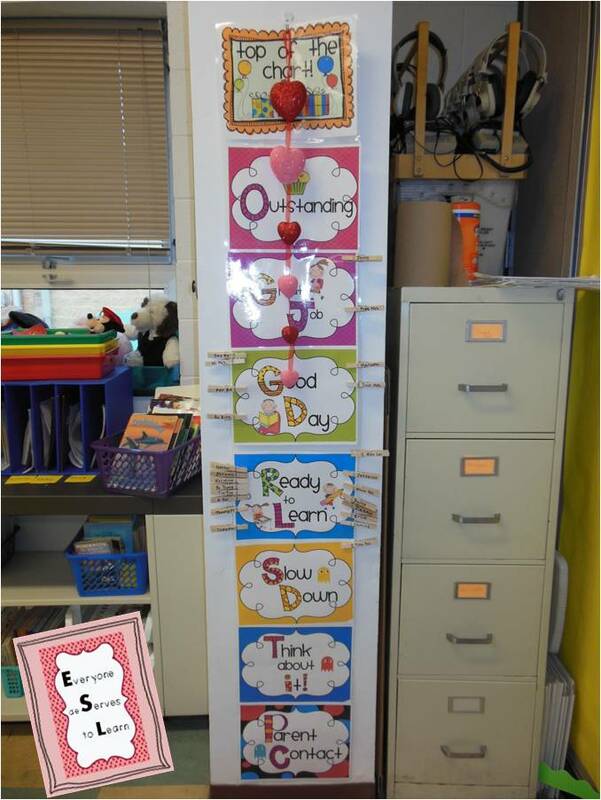 Moving around the room you'll find our clip chart, which is centrally located right at our reading rug/gathering area. I got it free from Second Grade Cup of Tea. She has really cute materials, and some of them are for ESL- go check her out! 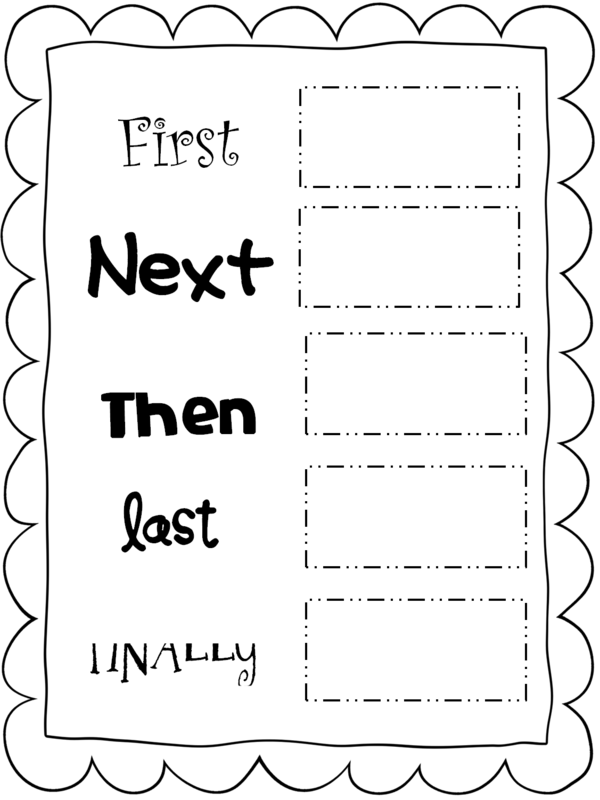 My students really like the clip chart, and it helps that the 2nd grade classes in my school use the same thing, so many of my students are familiar with the format. I love the brightness of this one- it really lightens up my room. The hearts aren't permanent- just a V-day decoration! If someone is on Outstanding at the end of the week (I don't do by day since I don't have them all day) they can earn M-C money. 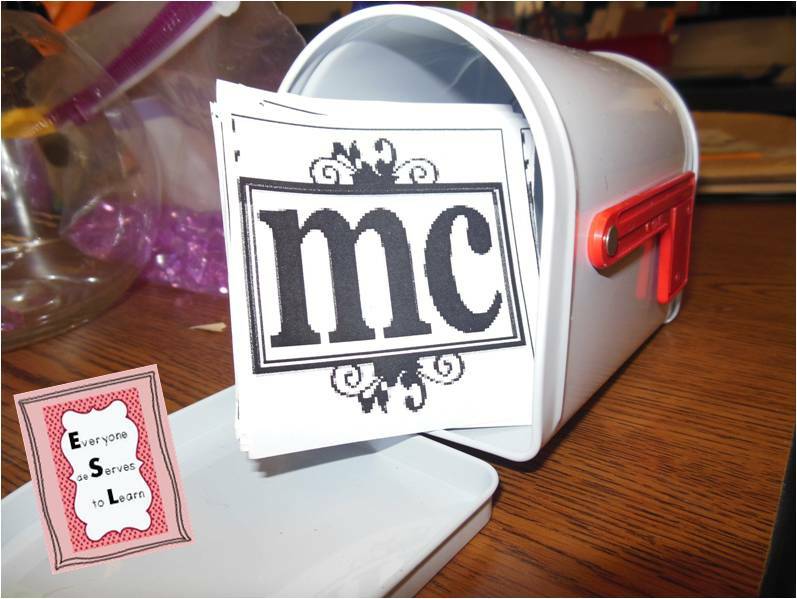 They use M-C money to buy prizes from the prize box. M-C money is also earned by winning a game we play as a class. 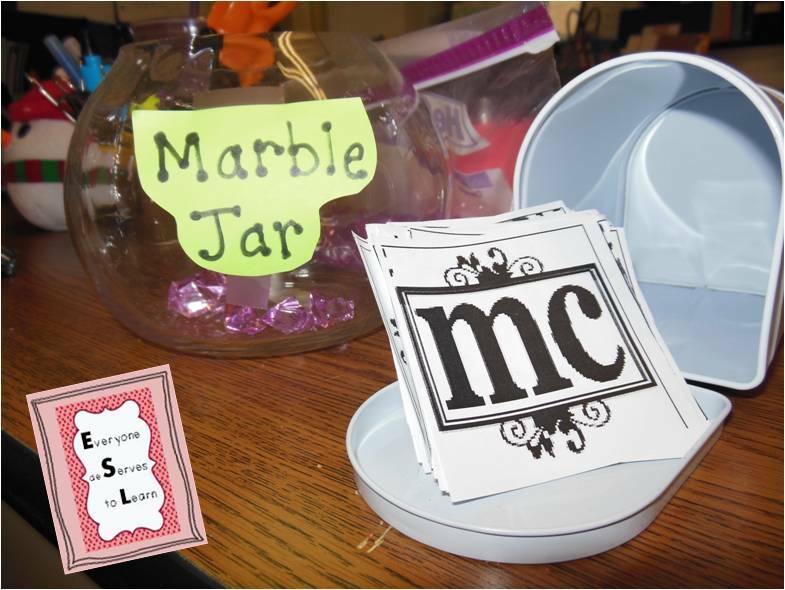 However, the only way the entire class can access the prize box is if they fill up the marble jar. They can earn marbles by walking quietly in the hallway, being good team players, helping clean up, or following directions quickly. We haven't earned many marbles lately...more on that later. Those are the material and immaterial things I do in class; I hold classroom management extremely high on my list of teaching priorities. Here's my problem: I have a handful of students who have forgotten about the "Raise Your Hand" rule, and clipping down is only marginally effective. It doesn't seem to be effective for the long-term. Part of the reason, I believe, is that some of my kids won't talk in their mainstream classrooms because they are intimidated, so by the time they get to me they are pent up with things to tell me. That results in lots of interruptions and shouting out. I don't want to curtail any production of language, or intimidate them so that they stop talking in my room. So what do I do? I bought the materials at AC Moore and I'm going to use this snowy weekend to cook and make some critters. But what else do you suggest? 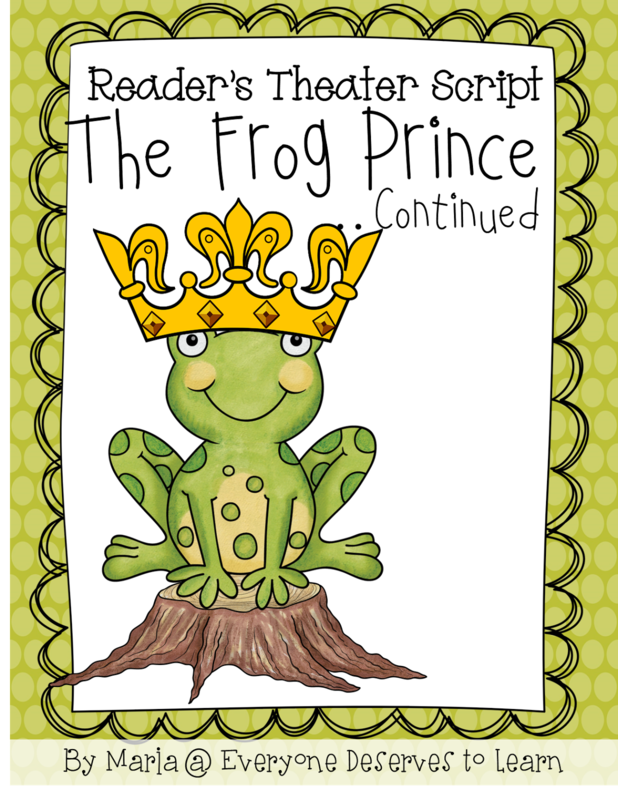 How can I encourage my kids to speak and produce language, especially the ones who have recently exited their silent period, but not shout out? Help! 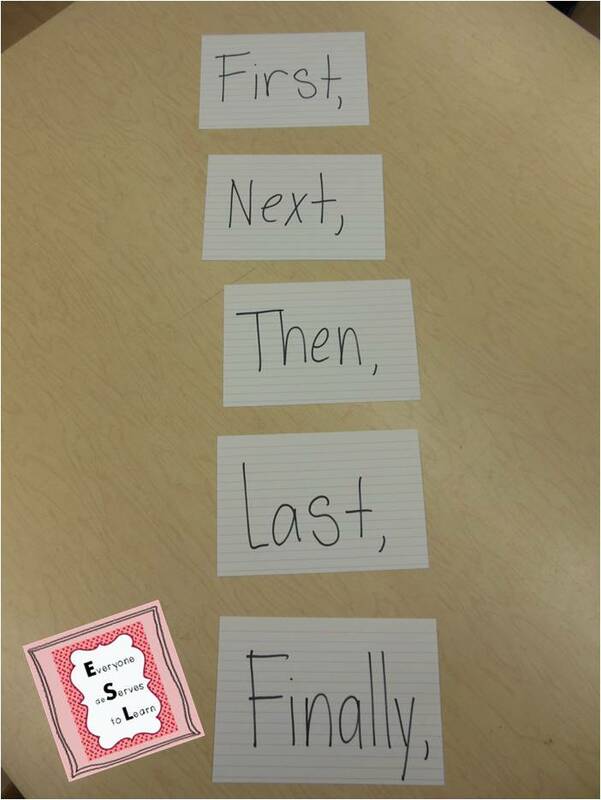 I'm linking up with Farley at Oh' Boy 4th Grade for my first Currently! 1. 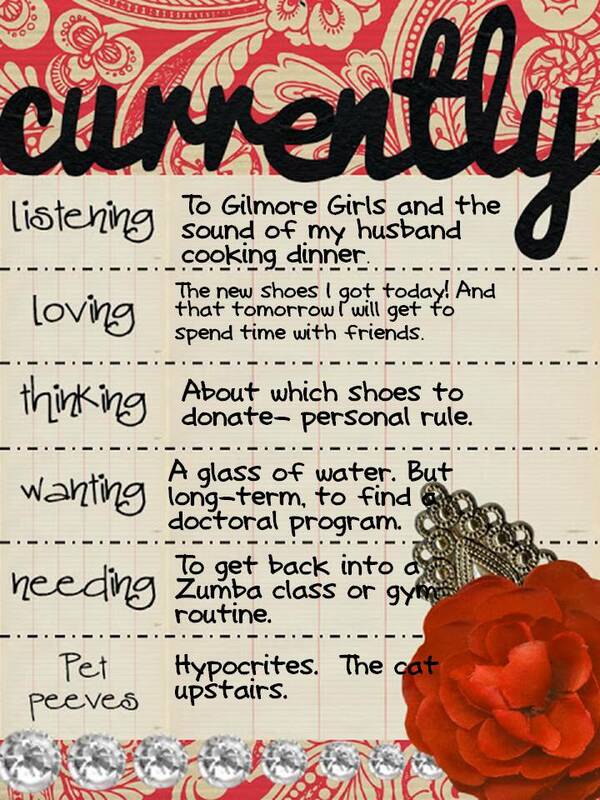 I love that Gilmore girls is on practically all day on Saturdays and Sundays. Don't you wish you lived in Stars Hollow? Also, my husband is cooking dinner. And let it be known, he volunteered! He's a good cook, when he does cook, but I generally do most of the cooking because I am a control freak. In a good way. 2. We both needed shoes, so we went to Macy's and DSW. I get claustrophobic in the women's section of Macy's shoes, though, so we skedaddled really quickly. DSW is having a huge clearance sale, FYI- and I got three pairs of shoes that I will very happily debut this week. 3. Donating shoes is something I started in college- partly to make room and partly because the Goodwill down the street really had a need for them. So every time I buy a pair, I donate at least two more. 4. Long-term goals for me are in administration, just like my dad. Who wants me to be a lawyer and a doctor at the same time, and possibly win a Nobel Peace Prize. Love you, Dad. But in all seriousness, I'd like to find a doctoral program that will allow me to get my Principal/Supervisor CE ASAP. 5. I need Zumba. Anyone want to take it with me? 6. My pet peeves are people who say one thing and do another. Or, people who tell one person one thing and then tell another person something else. Also, the cat upstairs is very active and likes to jump from (I believe) couch to couch and zoom around. I'm a dog person. First, I want to share something one of my sweetest students said, that nearly made me cry. He is always making other people feel good, telling them they did a great job, and he never expects anything in return. He just exited his silent period this year, and has been making so much progress. I am so proud of him every day. Student: "I think you are genius." Me: "That is so sweet. I think you are a genius too." Student: "Do you know 8 x 3?" Me: "Why, yes. It's 24." Student: "See? I told you you are genius." 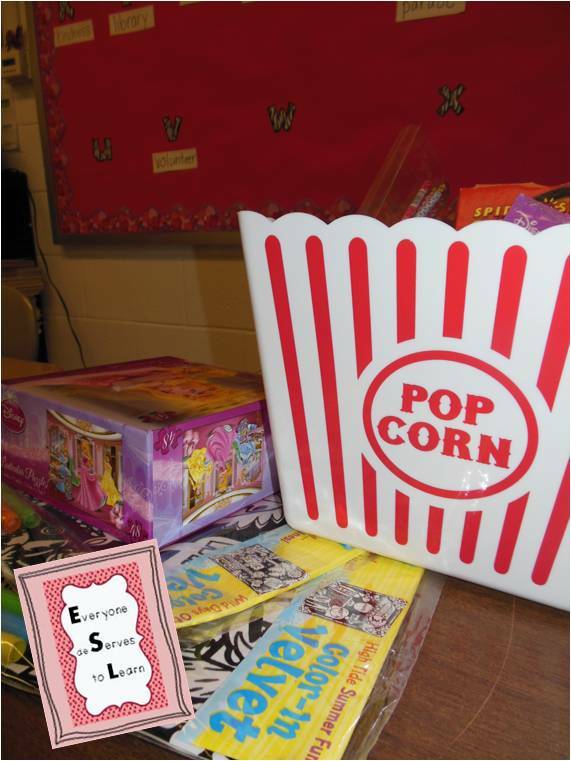 One of the staples of my teaching is always holiday or seasonal Reader's Theaters. 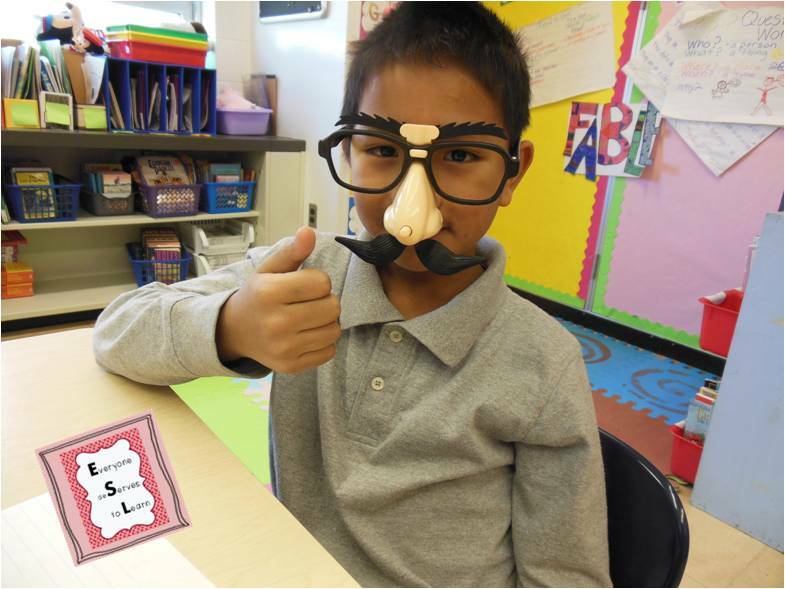 I did my Master's Thesis on the benefits of Reader's Theater to increase ELL fluency, and my kids gobble up scripts like candy! 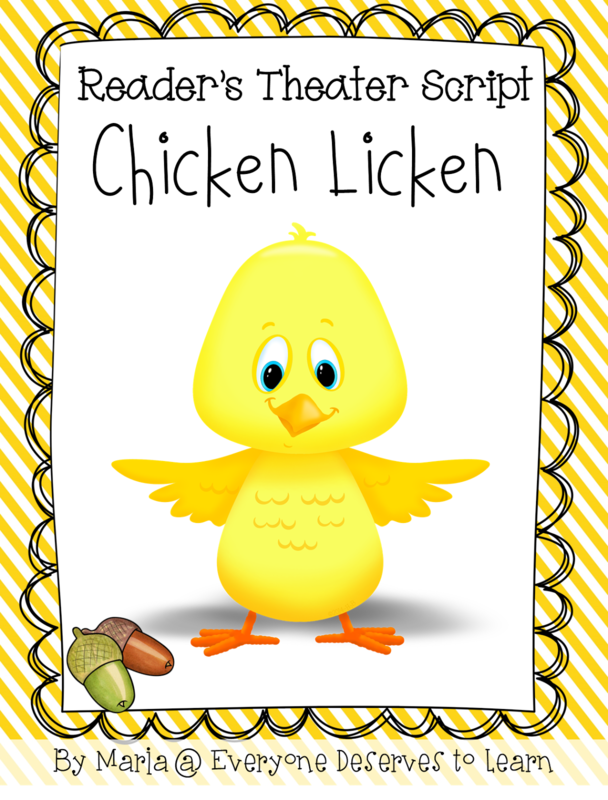 I write all of our scripts to be suitable for my varied proficiency levels- you can find them all at my TPT store. 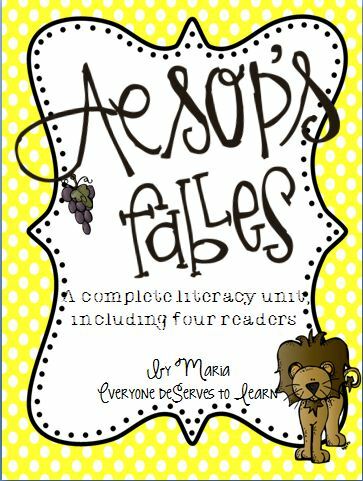 This week, 2nd grade did a culminating Reader's Theater to end their Aesop's Fables unit, and 3rd and 4th grade did a Reader's Theater because we felt like it! Here are some videos of my students performing! 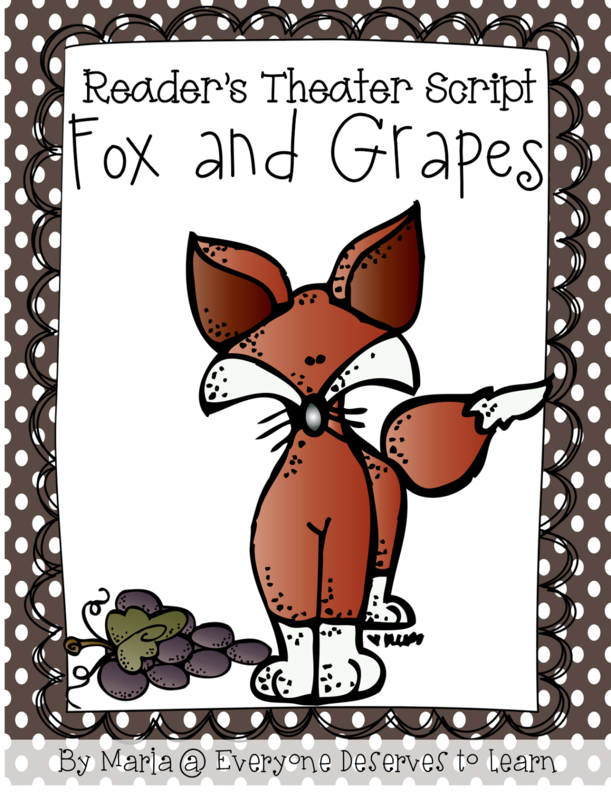 Do you do Reader's Theater with your students? How do you run it? I read the story, pass out scripts, we highlight parts, and then practice for 3 or 4 days for about 10 minutes a day.